The healing properties of turmeric, the healing herb and wonder spice, has no bounds. The latest in line is the Jawaharlal Nehru University (JNU) study which confirmed that consuming turmeric can cure stomach cancer. The study carried out by the Biotechnology department of the university studied the the impact of curcumin, an active component present in turmeric on Helicobacter Pylori (HPylori). The study group found that by including turmeric in the treatment of stomach cancer, the disease can be effectively cured. The main aim of the study was the oxidation of curcumin, which holds the key for therapeutic purposes. The students who had been studying the use of curcumin, a bioactive component of turmeric over the past five years, revealed the details of their study, led by Rupesh Chaturvedi, Professor of Department of Biotechnology. The detailed trials were conducted based on the sample taken from 40 people in India, and it was found that 39 of them used to consume food (junk food) that led to the formation of the bacteria in their body. The H Pylori bacteria, is one of the main bacteria that causes ulcers in stomach. When food consisting of this bacterium is consumed often, it can lead to stomach cancer. Turmeric can help as a course of treatment for stomach cancer. A detailed research paper was published based on this. Curcumin present in turmeric fights this bacterium, the researchers found. Although studies using turmeric have been carried out across the world, it is for the first time that research has proven that age-old turmeric can be a crucial factor in fighting this fatal disease. How turmeric helps in fighting cancer? Scientists are now realizing the important of turmeric in treating modern diseases. Several researches have been carried out and are still being carried out on the various effects of curcumin in human body, particularly on its effects on cancer. Both in India and in Pakistan, where turmeric is a dietary staple, it was observed that there was a lower incidence of cancer than in other countries where this spice is not as much consumed. Turmeric fights cancer in three ways – by neutralizing the substances and conditions that cause cancer, by helping cells retain their integrity when threatened by carcinogens, and if a tumour grows, then by destroying the tumour that grows. This ability of curcumin to inhibit the enzyme Topoisomerase, which is necessary for replication of cancer cells, is one of the main reasons for its ability to fight cancer. Further, curcumin is also effective in blocking an enzyme that makes carcinogens more active in the body, allowing cancer cells to thrive. This means to say that curcumin completely blocks the formation of enzymes causing cancer, decreasing the possibility of their growth. Curcumin is also rich in antioxidants, which is crucial in fighting the substances that damage cells and cause cancer in the first place. Green tea, Rosemary and Red grapes also contain similar antioxidants. Therefore, even when using allopathic medications to treat cancer, curcumin can be used to reduce the side-effects of certain cancer treatments. In Fact, one of the earlier researches has confirmed that including curcumin in diet during the initiation and post-initiation period of cancer, it significantly suppresses development of chemically induced tumours. The research points out that curcumin works well when used during the initial phase of cancer treatment and as preventative treatment all through life. Ayurvedic medicine has been using turmeric for medicinal purposes since ages. In Ayurveda, turmeric plays a vital role in management of osteoarthritis and other chronic inflammatory diseases. Several studies have shown that curcumin when taken in the form of a capsule is effective in pain relief and in osteoarthritis. Turmeric is a great antibacterial, anti-inflammatory, anti-allergic, anti-oxidant, anti-septic, anti-spasmodic, astringent, digestive, diuretic, and stimulant. 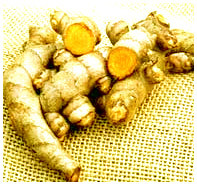 Turmeric has been safely used in Ayurveda for treatment of various diseases like Arthritis, Diabetes, Alzheimer’s Atherosclerosis, STDs, kidney infections, anemia, haemorrhoids, bronchitis, common cold, low back and abdominal pain, urinary tract infections, acne, liver diseases, headaches, parasites, fever, mosquito repellent, wound healer, and for insect bites. Turmeric is used in treatment of wounds and ulcers that do not respond to conventional treatment. Ayurveda believes that turmeric has the ability to balances all three doshas – vata, pitta and kapha. Turmeric is prescribed by ayurvedic practitioners in the form of fresh juice, and boiled tea or as powder, and externally, it is used as tincture, powder, lotion, cream, ointment and paste. Several ayurvedic formulas combine turmeric and milk, and this combination is the best remedy for common cold. Turmeric juice is believed to heal wounds, leech bites and bruises. A paste made of turmeric, lemon and salt is applied to inflamed joints and sprains for quick relief. Inhaling fumes of turmeric was used for release of huge amount of mucous, providing relief from chest congestion, in ancient days. A paste made of turmeric and neem leaves were used for treatment of ringworm, eczema, itching and other parasitic skin conditions. According to Charaka Samhita, turmeric together with neem bark, turmeric, triphala, bala, and licorice is considered as effective remedy for jaundice treatment. Tumeric pastes were also used for smallpox, ulcers, chickenpox, shingles, skin blemishes, ulcers, etc. On the whole, turmeric has been revered by people for centuries now. It is one of the major players in prevention of serious diseases, and can without doubt, stand the test of time.